What you can do with it? 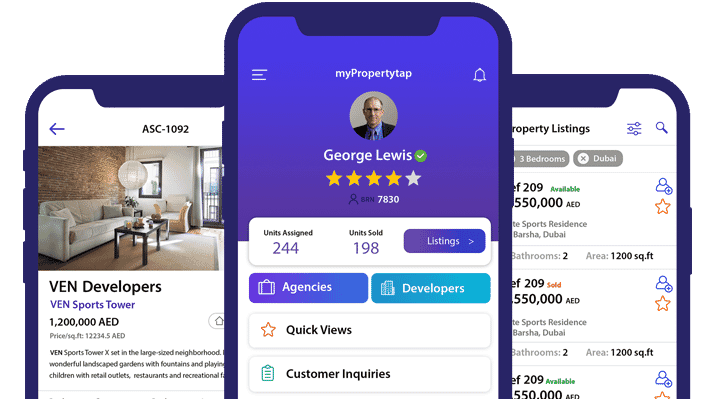 Post your properties for sale on MyPropertyTap. Talk to the right people and get your property to sell faster at the best possible price. Assign units to brokers and also receive suitable offers from them. Best tool for the modern day Brokers, Developers & Agencies. Request units from Developers & Agencies. Get all the details, pictures, floor plans & coordinates in the palm of your hands. Send offers to sellers for units & get notified via push notification and email when your offer is accepted. Build and maintain your property inventory up to date visible to your brokers on the app. Assign units to brokers and receive offers from them. Make connections with brokers & developers via your dashboard & get units assigned. Receive emails when receiving an offer on your associated email. View detailed summary of all your units and the offers they receive. Post your properties for sale on myPropertyTap. Connect with the right people & get your property to sell faster at the best price. Select from a range of verified registered brokers & agencies. 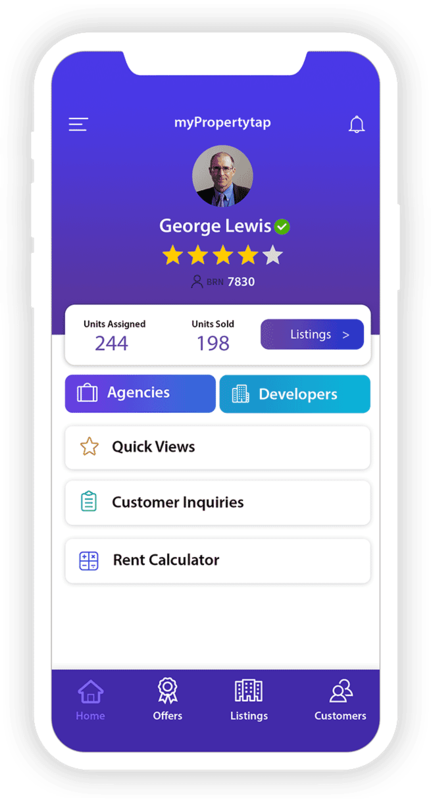 Assign your properties & receive offers from them. Accept, Counter or Reject offers right from your dashboard. Contact our support team for any questions or problems. Our support team is more than happy to assist.